The Swiss government has dropped the requirement that British nationals obtain a visa to enter Switzerland for a lengthy stay after Britain leaves the European Union. The British government has also extended the same privilege to Swiss nationals wishing to enter Britain after Brexit. The decision was made by the seven-member Federal Council on Friday and will come into force on the day the EU’s Agreement on the Free Movement of Persons (AFMP) ceases to apply to Britain. Switzerland has also amended its Ordinance on Entry and the Granting of Visas (VGO) to take into account the EU’s likely waiver of visa requirements for UK nationals entering the Schengen zone. The EU is preparing a new electronic visa waiver system, to be ready by 2021, to beef up security. 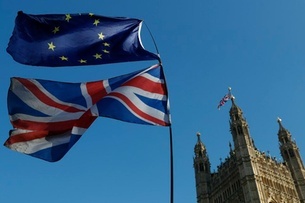 In December, the bloc’s executive proposed to include Britain in the scheme, provided that the sides agree on a Brexit deal before Britain leaves. “The Federal Council has approved this future Schengen development in advance so as to be able to respond flexibly to developments in relations between the EU and the UK,” a government press statementexternal link said on Friday. At the end of 2018, there were around 43,000 British nationals living in Switzerland and around 34,500 Swiss nationals living in Britain.